Be sure your date is available. In honor or memory of ___ ? 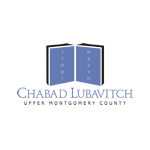 Following are the Kiddush menus and your choices within each menu. There are also choices for extras such as fruit and cake. Please indicate your choices in the box below and submit the form. If you have no menu preferences, simply indicate which type of Kiddush you would like, and we'll take care of the rest. Please pay according to the type of Kiddush that you choose. All kiddush include Cholent, Crackers, Pickles, Soda, Wine, and L'Chaim. Please write your choices for both the fish and the salads in the box below. Your choice of 2 side salads: see list below. Please write your choices for both the bread and the salads in the box below. Choose 3 for Traditional Kiddush or 2 for Brunch Kiddush or 2 for the Deli Kiddush. Type your choices into the appropriate text box below. The conclusion of Talmud Tractate for Fast of Firstborns. Services begin at 9:30; Children's program begins at 11. Do you have a Birthday, Family Yartzeit, or special occasion? Why not celebrate it with a Kiddush at the shul! For more details or to reserve a kiddush click on the kiddush icon.